Sarah Eichler Inwood is an agro-ecologist whose work contributes to broad-scale sustainability solutions in the fields of ecosystem services and energy. She works toward empowering farmers through policy recommendations for regional to global sustainability efforts associated with agriculture, energy and climate change. Her background spans ecosystem science and sustainable cropping systems to clean energy and mobile app development. Sarah received her BS with honors from Kent State University and a MS in Biological Sciences from the University of Notre Dame. She completed her PhD in Energy Science and Engineering at the University of Tennessee’s Bredesen Center for Interdisciplinary Research and Education, where she was the recipient of the Lori Mayer Graduate Fellowship. For her dissertation, Sarah worked with Oak Ridge National Laboratory researchers and international collaborators on landscape sustainability assessments involving stakeholders of the Yaqui Valley landscape in Sonora Mexico and the Todos Santos highlands area in Guatemala. Other projects included conceptual design of an agricultural knowledge sharing app with funding from UT’s Institute for Secure and Sustainable Environment; a meta-analysis and model demonstrating how cover cropping offers an economically viable way to reduce watershed phosphorus export, and an analysis of the U.S. EPA’s Clean Power Plan, among other activities. 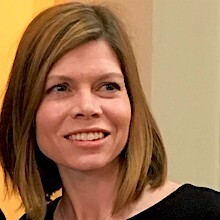 Prior to pursuing her PhD, Sarah worked on nutrient cycling and biocontrol in midwestern lakes, plant carbohydrates at the University of Georgia, water resource management in Alabama, and agricultural research at the University of Tennessee.